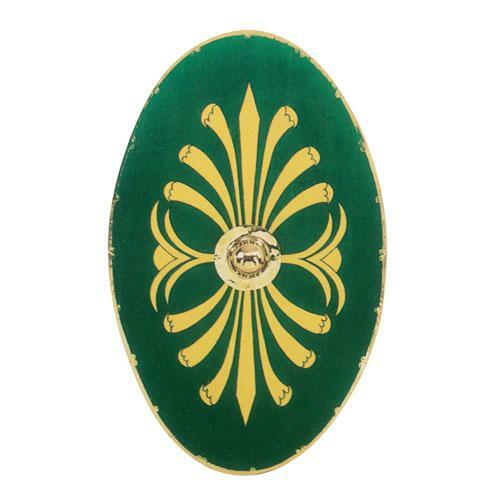 This flat Roman shield is also known as Parma Equestris. It was predominantly used by the mounted Auxilia (auxiliary cavalry), which were organised in military units, the so-called Alae. This shield is made from composite wood and lined with brass bands. The shield boss (umbo) is also made from brass and is to be mounted by the customer with the supplied screws. Retiario Gladiator helmet, I Century AD C.